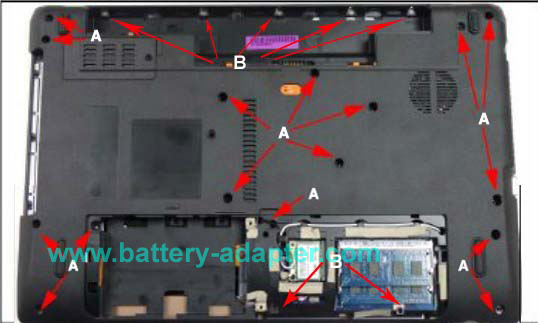 First of all, please turn off your Acer Aspire 5755 / 5755G, disconnect the power adapter and remove the battery. 1. 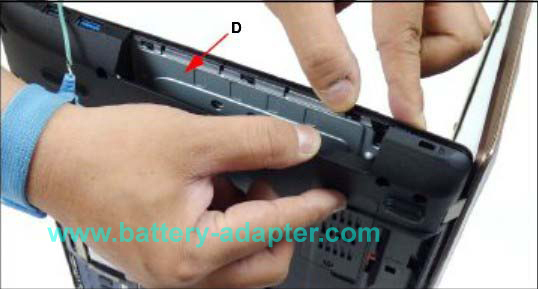 Remove two screws (A) as shown. 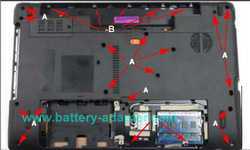 Remove door from lower cover, then slide HDD module away from mainboard connector. 2. Remove screw from lower cover as shown. To remove ODD module, push from HDD bay. 3. 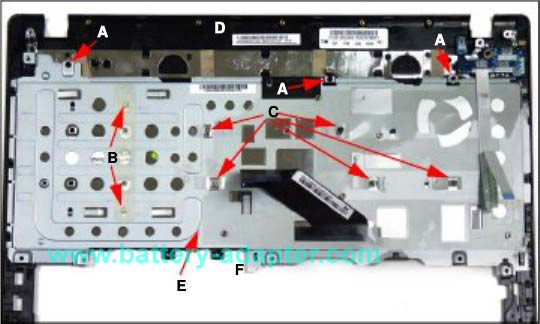 Remove sixteen screws (A) and eight screws (B) from lower cover. 4.Separate the upper cover from the lower cover through HDD bay opening. 7. Starting from ODD module bay, separate upper cover from lower cover. 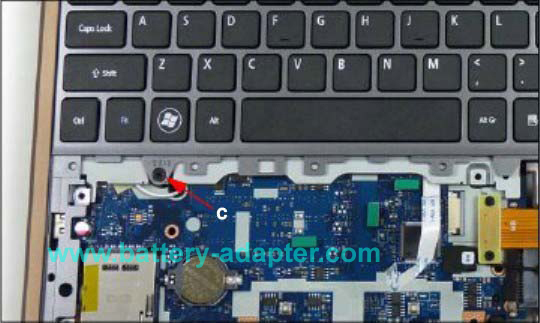 Disconnect keyboard FPC (E) from mainboard connector (G). Disconnect power board FFC(F) from mainboard connector (H). 9.Peel back mylar as required. Slide keyboard support plate toward top edge (D) of upper cover. 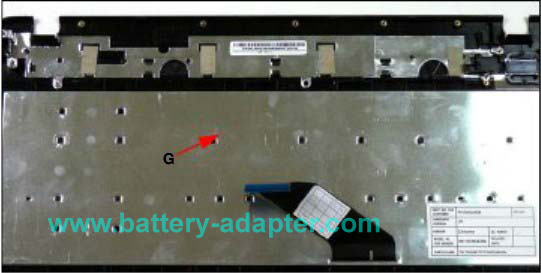 Remove keyboard support plate (E) from upper cover. 10. 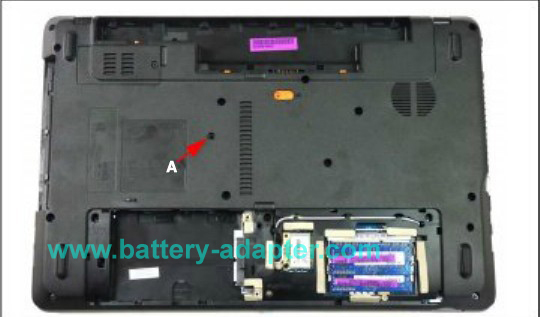 Remove keyboard from upper cover. 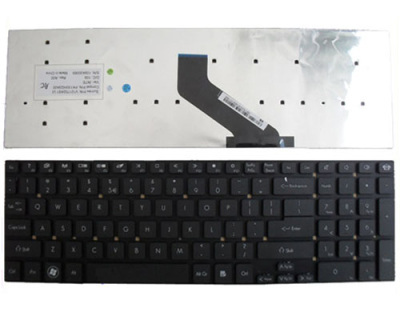 Reverse the procedure to install your new Acer Aspire 5755 / 5755G keyboard.